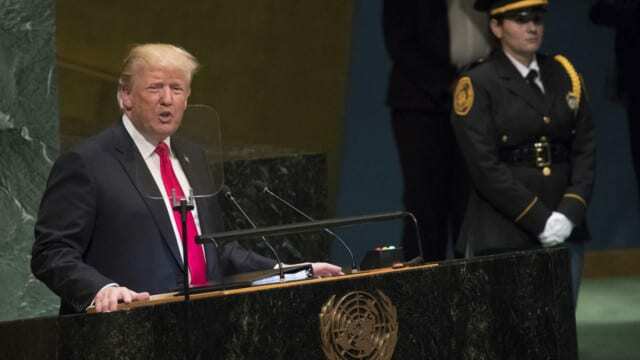 During the first minute of his speech to the United Nations General Assembly, president Donald J trump received a greeting of muted laughter. For the near hour of the speech that followed, you could have heard a pin drop in the cavern. Trump minced no words. He was brutally clear to everyone in the General Assembly that the United States of America meant business. The repercussions of that speech will be world changing. Foremost in the president’s message to the world was his rejection of globalism represented most by the governing apparatus of the United Nations and its supporting agencies. The UN had been born in an era of global power concentration at the end of World War II. It has functioned as such since then concentrating the real power over the planet in the Security Council. This model husbanded the planet through the Cold War and a period of post-Colonialism in the aftermath of it. But much like his domestic presidency is a recognition that established bureaucracies can become bloated by elitism and hubris, so can the world stage. I smiled to myself as I listened to it not because I am an isolationist, but because I am an American. I’m pragmatic about the practice of global stability and national policy. I found my thoughts drifting back to a much younger United States of America. In the 1790’s and leading up to the War of 1812, the United States was a beacon of freedom to a Western Hemisphere dominated by colonial masters. They coveted how the United States was thriving in its social and power experiment. Throughout the Americas, people saw the emergence of a free and independent nation and wanted the same for themselves. America’s leaders struggled with the requests for aid throw off the world powers of that era and cast them out of the New World. There was acrimony about it at the time, and regret. America’s leaders knew we were not rich enough or powerful enough come to the aid of our neighbors and risk the combined might of Europe against us. Mind you the British did try. Lucky for us, we survived the War of 1812. More importantly for the world’s future, we chose to lead by example that would become a hallmark of our future conduct on the world stage. We took the position of tough love showing our neighbors what was possible, to inspire hope even if (no because) we were unable to do it for them. We recognized even then the wisdom of teaching others to fish.